When you die, some of your assets may have to go through a probate proceeding. Generally, probate involves the appointment of an executor or administrator to manage your estate. This person gathers your assets, pays your debts and distributes any remaining property to your beneficiaries. Though the probate process can be lengthy and stressful, Minnesota law allows both formal and informal unsupervised probate proceedings to make the process easier for your loved ones to navigate. Depending on the assets you own at the time of your death, your estate may not require probate proceedings at all or only very little of your estate may go through probate. Assets that have named beneficiaries or that pass because of rights of survivorship or joint tenancy generally do not require probate. For example, if you and your brother own real estate as joint tenants with rights of survivorship, the property passes automatically to your brother when you die -- without going through probate. Spouses also tend to hold real estate, such as homes, as joint tenants. For your probate assets, Minnesota allows you to specify the type of probate you want as a term of your will, or your family members can make that decision according to Minnesota’s legal requirements. Minnesota offers informal unsupervised probate, governed by Article 3 of Minnesota’s Uniform Probate Code. With informal probate, most actions take place without court supervision, though the court still maintains authority to step in if necessary. Typically, informal probate is best if you do not own real estate, unless that real estate is passed outside probate by rights of survivorship. However, formal probate may be wise if you die insolvent -- owing more than the value of your assets -- because your family may face fewer creditor challenges to the estate if the court is more heavily involved. To begin informal probate, your representative -- your executor or administrator -- must file with the probate registrar for the county where you die an application for informal probate and appointment. Minnesota law requires the application to include certain information, including your name, birth date, date of death and names and addresses of your spouse, children and other heirs. To make this process easier for your representative, you can leave a list of this information with your will. Under some circumstances, it may be best for your relatives to pursue a formal probate proceeding that can also be processed without supervision. For example, estates involving real estate transfers to beneficiaries are often processed through formal unsupervised probate, as are insolvent estates and estates without a will in which identification of heirs is questionable. Ultimately, it is up to each court to decide whether it will permit a particular probate case to proceed informally or as formal unsupervised probate. To begin formal unsupervised probate, your representative or someone who has an interest in the outcome of the proceedings can file an application with the probate registrar. This is similar to the filing requirement that begins informal unsupervised probate. While your estate’s probate case is pending, issues may arise that make another probate method more appropriate than the method originally approved. For example, someone may decide to dispute your will or may have a problem with the way the estate’s representative is handling his duties. Such challenges may force your estate to move from informal to formal probate or from formal unsupervised probate to formal supervised probate. For example, Minnesota’s probate laws allow the personal representative you named in your will or any other interested person to file a petition for formal probate even after someone else files a petition for informal probate. This will halt the informal probate process while the formal probate application is pending. To avoid such problems, it may help to communicate your wishes to family members so they can plan how to proceed when it comes time to probate your estate. Though this may not prevent problems entirely, your family may be able to act together in the manner you would have wanted rather than scrambling to figure out what to do. Missouri’s probate courts are divisions of the circuit courts; they handle probate issues including the administration of a deceased person’s estate. They also handle guardianships and conservatorships even when those issues are not connected to an estate administration case. Each county has a probate court division. 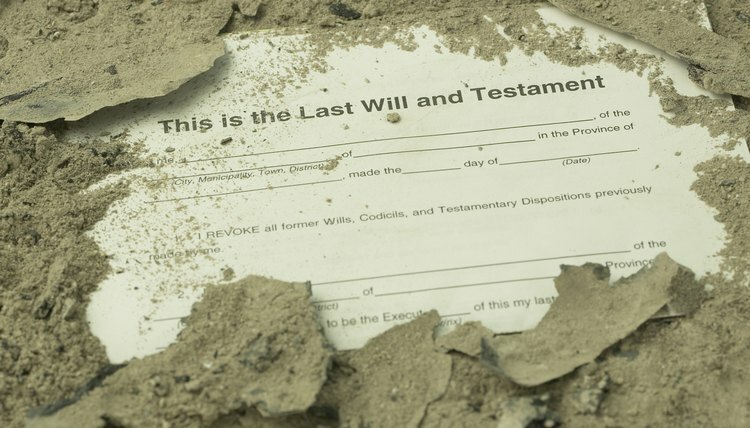 Does the Executor of a Will Have to Use an Attorney to Execute the Will? When you create a will, you not only leave instructions for how your property should be distributed upon death, you also nominate someone to administer your estate. This person is known as the executor. The executor is charged with gathering estate property, paying estate debts and making distributions to beneficiaries of the will. Nearly everyone has some type of estate when he dies, even if that estate is small. But whether or not your parent's estate is large, you must follow your state's legal requirements when distributing that estate. This may involve creating a probate case for your parent, but you may also have other options depending on your state's laws and the type and value of your parent's assets. Can Probate Property Be Rented Out?